In my all-time top five, EASY. Since Richler is in the Canadian canon, and I thought it would be great to say "hey yeah I've read him" instead of pretending that I have, I gave this a go. Despite having already seen the film and enjoyed it, my expectations were middling. This novel took said expectations, threw them in the air, and blew them apart with a giant bazooka gun. The great thing about this novel is that although it is obviously, from the get go, a top shelf literary novel, it includes none of the usual flourishes and ploys to convince you if the author's prowess. You get a damn good story, you get heart, you get cutting humour, you get an amazing broad portrait of Quebec at a crucial moment of time, and you get a cross-section of a LIFE that is exquisitely sensitive to the small triumphs and bitter set backs that characterize most of our existences. 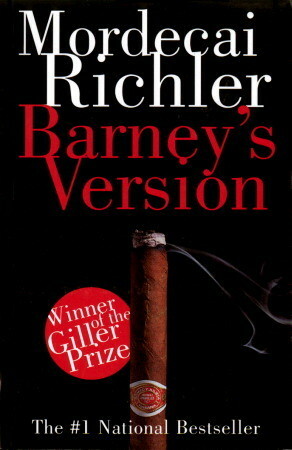 Sign into Goodreads to see if any of your friends have read Barney's Version. wow. OK. adding to my list. I've tried a few times to read Duddy Kravitz and failed. I'll move on to this.